When much of North America remains buried under ice and snow, the first Japanese cherry blossoms are already unveiling their frothy pink petals on the island of Okinawa. Here, cherry blossom season begins in late January, as 20,000 Ryukyu-higan-zakura trees bloom around the remains of Nago Castle, in the centre of the island. For the rest of the country, blooms peak in springtime between early March and late April, depending on the variety of the tree. 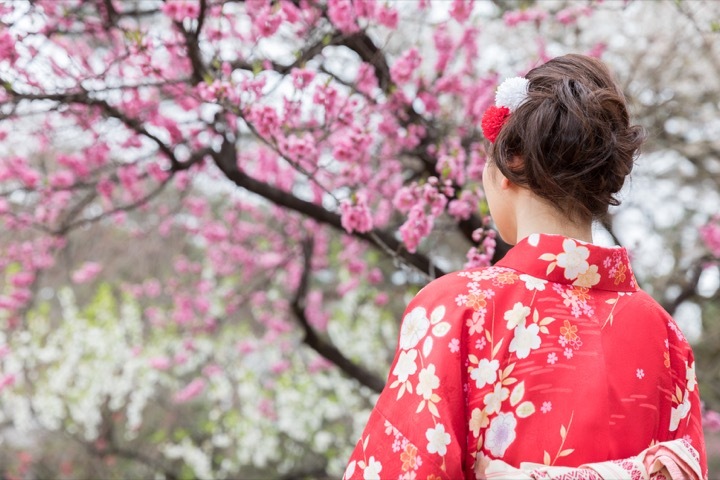 Our Japanese guides will see the most tour bookings all year in the coming 2 months, as travellers are eager to experience hanami, Japan's spectacular cherry blossom season. People from all over the world can join in the traditional Japanese custom of hanami, by visiting mountains and parks with cherry blossoms, walking through the pink tunnels formed by arching boughs, and holding sake-drinking parties beneath the cherry trees in full blossom. Many consider Mt Yoshina to be the best spot in all of Japan for cherry blossom viewing. Cherry seedlings have been planted here for centuries, resulting in a profusion of blooms from 30,000 trees that span the mountainside from bottom to top. Viewing season is from early to late April. We've told you about a few of the most popular cherry blossom viewing spots here, but your Japanese guide will be able to supplement that knowledge with the out-of-the-way, quiet spots where you can wander away from the crowds. If you're headed to Japan this spring and haven't booked your tour yet, do it quickly to avoid disappointment: the guides' schedules are filling up quickly!